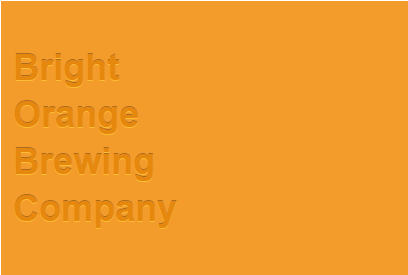 Bright Orange Brewing Company is a new Craft Brewery on the way in the northern part of Johannesburg. The brewery is still under construction but it will be situated at the Tungsten Industrial Park, in Strijdom Park (Strydom Park). It is possible though to have a beer from Bright Orange Brewing Company before the new brewery is up and running. They aim to “contract brew” their beer at their sister-brewery in Western Cape. During 2014 we might be drinking beers like Colourblock Orange, Yellow, Black, Green or Red.